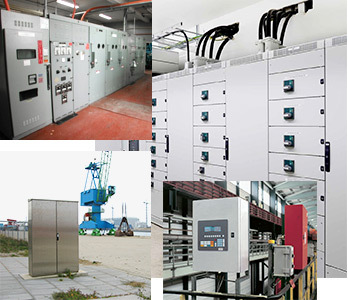 An Industrial Electrical Enclosure is used to contain electrical equipment. 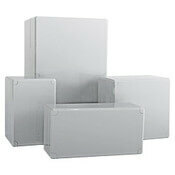 These enclosures are used to mount devices and components including switches, knobs, displays, wiring and more. 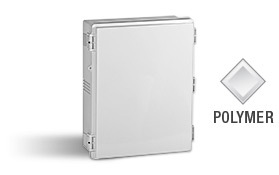 The enclosures protect equipment from the environment while protecting personnel from electrical shock. 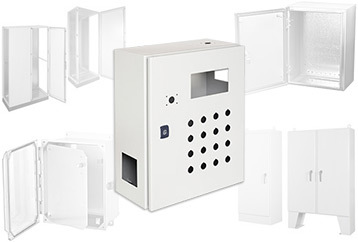 Electrical enclosure options vary greatly to suit every need, ranging from polymer to metal and wall-mounted to free-standing. 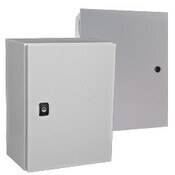 FactoryMation offers one of the widest selections of industrial electrical enclosures in the industry. 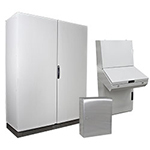 We have partnered with the best enclosure manufacturers in the world to offer a vast array of models in many types, styles, materials, and sizes. 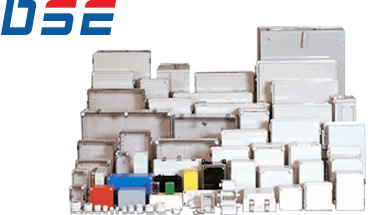 Combine this great product selection with our industry leading prices and delivery, and you have an unparalleled value for industrial enclosures. 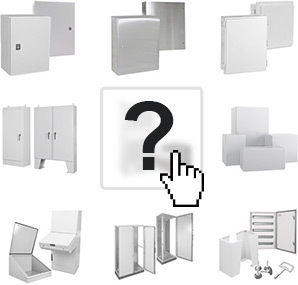 Modular enclosures offer the greatest versatility and number of design options. Junction Boxes house multiple wires and protect them from accidental damage. Operator Interface Enclosures are used to hold Human Machine Interface devices such as touch panels, pushbuttons, selector switches, pilot lights etc. Thermal Management systems are used to monitoring and control temperature and humidity within an electrical enclosure. 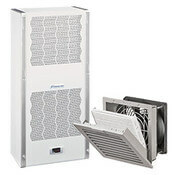 Heat Exchangers, Air to Water, available in UL Type 12 ratings. 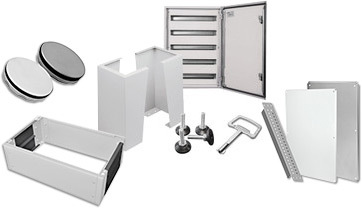 FactoryMation offers numerous accessories for your enclosure needs. 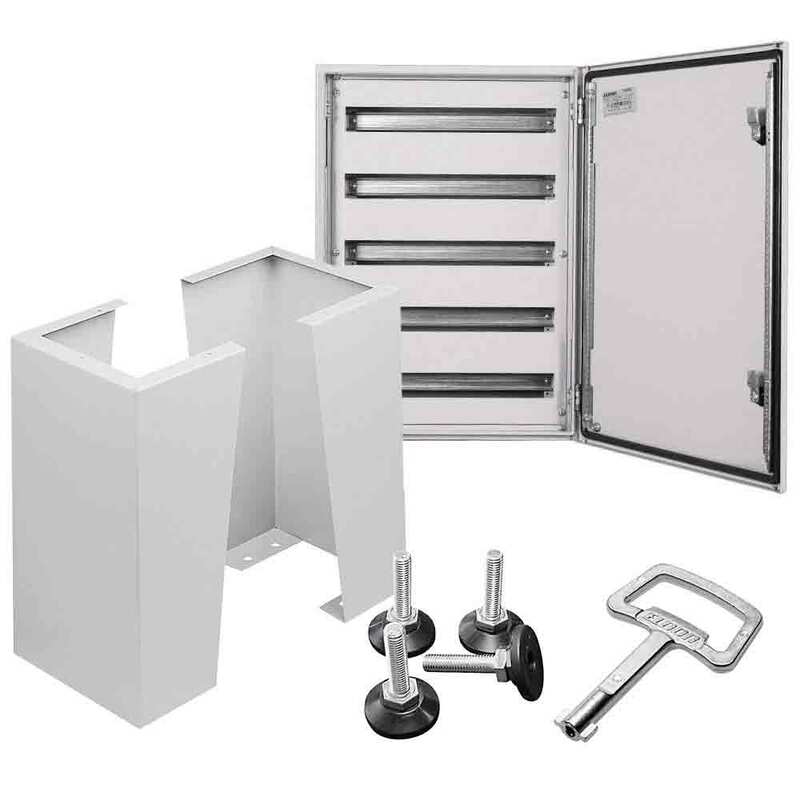 Mounting Options: Keys, locks, replacement doors, etc. Protective Accessories: Drip Shields, Removable Wire Covers, etc. 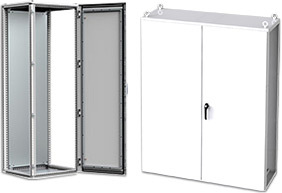 FactoryMation offers multiple, secure enclosures. What is an Industrial Enclosure? An industrial enclosure is a metallic or non-metallic housing unit typically used to protect electrical control components and wiring. 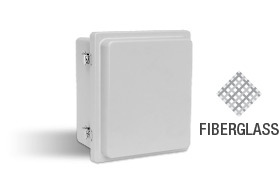 The enclosure could be made from: steel, stainless steel, aluminum, plastic, or fiberglass. 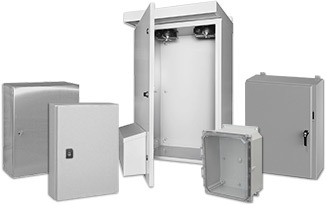 Many enclosure options offer varying degrees of environmental protection from elements such as foreign objects, dust, water, oil, chemicals, and rain as provided with UL/NEMA Type 1, 3, 3R, 4, 12 or 13 ratings and/or ingress protection ratings (IP ratings) of various levels. Where are Industrial Enclosures Used? With an ever-expanding 310,000 square foot manufacturing facility, located in Saginaw, Michigan, Saginaw Control and Engineering uses state-of-the-art fabricating equipment, including the newest laser cutting and welding technology. 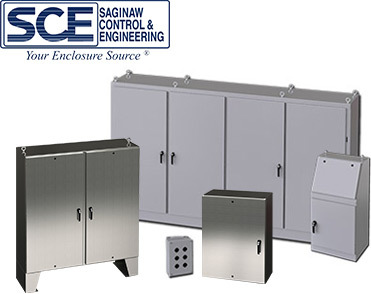 SCE specializes in standard NEMA/UL Type stock electrical enclosures, including NEMA/UL Types 1, 3, 3R, 4, 4X and 12. 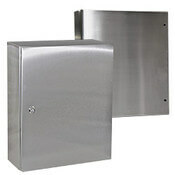 These enclosures are available in mild steel and stainless steel. 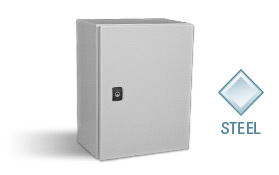 They can also customize any of their standard stock enclosures to meet your needs. 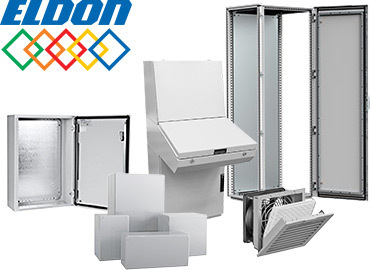 Eldon is an extremely successful company that has been around for 95 years offering standardized and customizable enclosures in over 45 countries worldwide. 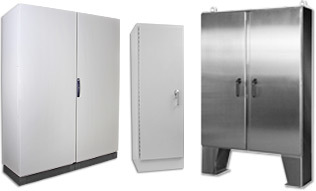 Eldon produces mild steel, stainless steel, and fiberglass enclosures. 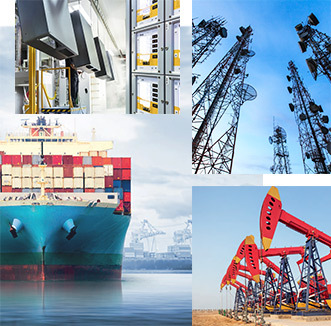 Eldon’s state-of-the-art plant is focused on supplying mission critical, quality approved standard enclosures, accessory solutions, as well as standard special solutions for a broad spectrum of power distribution and control applications to different industries. 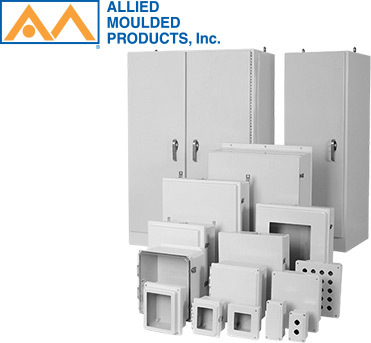 Founded in 1958 and backed by more than 55 years of knowledge and experience molding non-metallic materials, Allied Moulded Products, Inc. is well established within the electrical industry. DSE prides themselves on manufacturing a diverse variety of polycarbonate enclosure products for fortune 500 companies across the world. 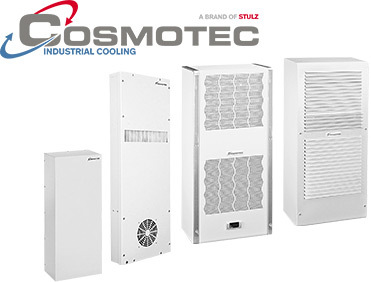 Since 1989 Cosmotec by Stulz Industrial Cooling has been among the leading producers of enclosure cooling systems and liquid chillers around the world. Investment in research and development, the application of new technologies, and the use of high quality components form the basis of Cosmotec’s products. How to Select an Enclosure? 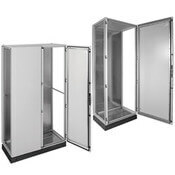 The required size of an enclosure often depends on the space required for the components you will be installing inside. 3. 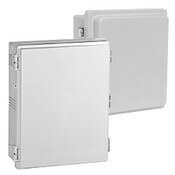 Once you add the spacing required for subpanel components and the ingress measurements, you should have a good idea of the enclosure size requirements. Mild Steel: Enclosures composed of hot or cold rolled steel. 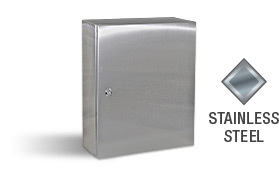 Mild steel enclosures are extremely durable and modifiable. The powder coat paint finish offers adequate protection for indoor and some outdoor applications. However, mild steel may not be the best choice for corrosion resistance. Fiberglass: Offers protection against exposure to many harsh chemicals. Fiberglass is also lightweight and strong. Therefore, they possess high impact strength and rigidity. Fiberglass also has some insulating value and can be an advantage or disadvantage when considering heat dissipation. Stainless Steel: Extremely durable with the advantage of corrosion resistance, thus making them ideal for harsh applications. Stainless steel excels in applications where daily cleaning with harsh chemicals or mild abrasives is required. Polycarbonate: Composed of thermoplastic flexible resin, polycarbonate enclosures usually boast of light weight, a wide temperature range, and high impact resistance. However, these are not suitable for environments containing strong alkalis or organic solvents. You will need to determine the degree of protection required for your installation environment. Some considerations are atmospheric conditions such as the presence of dust, falling or pressurized liquids, and/or high humidity levels. Moderate condensation, which may occur occasionally due to temperature variations, should also be considered. Sometimes special service conditions can exist, and the enclosures must be suitable for each situation. 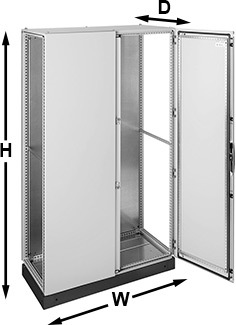 The degree of protection provided by any enclosure against ingress of solid foreign bodies and liquid is indicated by the UL Type Rating (based on UL50 and UL50E), NEMA Type Rating (based on NEMA 250), and/or the IP Rating (based on IEC 60529). 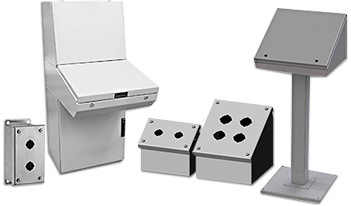 Most enclosures offered by FactoryMation have UL Type ratings as well as IP ratings. For more information on UL Type ratings or IP ratings you can use the related links to access our knowledgebase. In certain installations a high degree of hygiene is needed for which chemical products are used. Good examples of these installations are to be found in the chemical industry and in food processing. For these types of applications, materials such as stainless steel or non-metallic enclosures may be recommended. In outside installations, the enclosure is exposed to rain, wind, etc., and therefore it is necessary to bear these conditions in mind and choose the enclosure with the sufficient ingress protection rating that guarantees that water will not penetrate. Some applications require additional protection such as rain-hoods which help protect the gasket and avoiding possible deterioration. Consideration should also be given to temperature range and condensation. Depending on the environmental conditions and the geographical situation that the enclosure will occupy, it is possible that the enclosure has to be protected against corrosion (ie. proximity to coast, etc.). 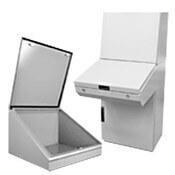 Saline or high humidity environments may require the use of stainless steel or non-metallic (fiberglass or polycarbonate) enclosures. In marine environments with a high salinity the use of Stainless Steel 304 is not sufficient. Stainless Steel 316L, has better qualities against corrosion, and ensures the performance of the enclosure. For environments where chemical products are present it is necessary to analyze each case individually since the chemical agents affect stainless steel material in different ways. If the internal temperature of the enclosure is reduced rapidly (which can and does occur under ‘normal’ weather conditions) the pressure inside a high IP rating enclosure may be significantly lower than the ambient pressure outside, thereby inducing a suction effect through the gasket areas. This could result in moisture around the gaskets being drawn into the enclosure. Therefore, consideration should be given to ventilating the enclosure. Condensation occurs due to differences in temperature between the inner and outer surfaces of the enclosure. Therefore, condensation can also occur on the inner components, which can cause the appearance of corrosion or defects. 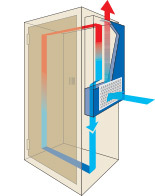 To avoid condensation, ventilation and/or thermal management can be used. 1. 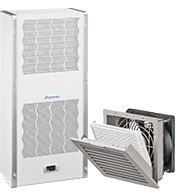 Abnormal ambient air temperature and humidity may require thermal management products to meet application requirements. 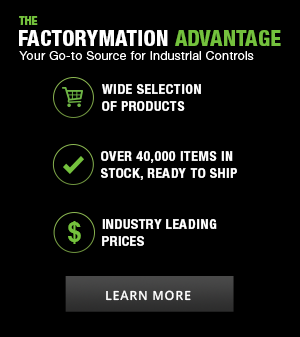 FactoryMation offers a large range of thermal management products. 2. 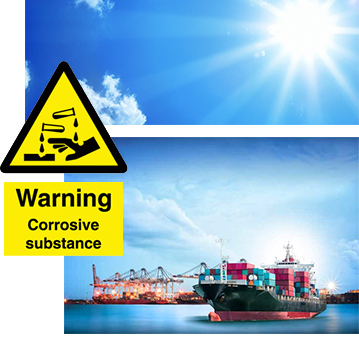 Presence of corrosive substances may require special paint or pre-treatment that will endure harsh conditions. 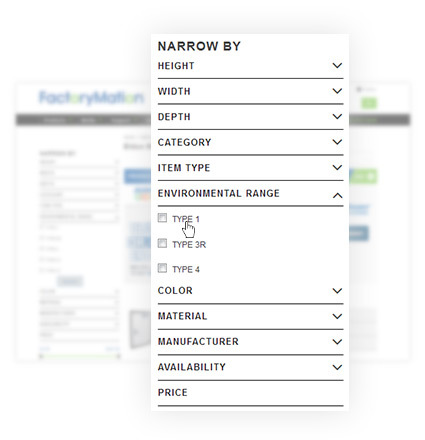 Contact FactoryMation for special enclosure paint requirements. 3. 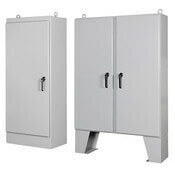 Electrical enclosures can be exposed to vibrations in areas such maritime environments, earthquake risk areas, nuclear power plants, military areas. These applications may require special certifications such as vibration tests carried out according to the “Rules for Ships” of Det Norske Veritas Class A by DEKRA. 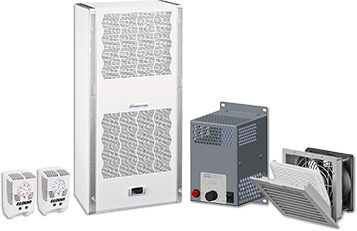 Some enclosures offered by FactoryMation offer these certifications. 4. Some application areas require seismic test certification such as the IEEE Std. 344-1987 Recommended Practice for Seismic Qualification of Class 1E Equipment for Nuclear Power Generating Stations. Contact FactoryMation for enclosures that meet these requirements.